If you are familiar with both sites – PinoyExchange and Yugatech, there is actually a connection between the two. I thought of it due to a recent achievement or so in my PinoyExchange account. 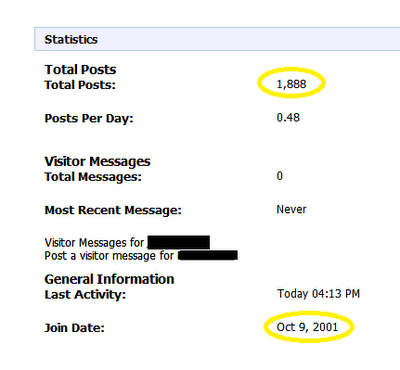 The screenshot above shows 1,888 posts. It’s very minimal compared to other more active members of the forum. But the number is associated with good luck particularly among our Chinese friends. Triple number 8 is even luckier. I’m not superstitious but the thought crossed my mind when I saw the total number of posts. The reason why I don’t have that much posts is that my activity online is not exclusive to one destination alone. The number of sites I have registered for are enumerable. Most of the times I have used usernames which are often the same but sometimes I also use my full real name, especially recently. I am trying to establish a web presence due to the nature of my online work and a pseudonym cannot accomplish that. With proof of work bearing my name online, it will be easier to acquire clients. But going back to a minimal number of posts, my activity is limited for all the sites I am a member of. Even when I started in PinoyExchange more than a decade ago, I spend time at other activities and places online such as chatrooms (remember IRC? ), social network sites (the pioneers Friendster and Myspace), and mostly reading online. Forum threads I normally frequent back then were anime, music, movies, sports, and books. Tech and other forum boards can be added to the list now. Although I spend more time over the web, I have more sites to engage with. Also, I’m more of a lurker than a poster. I read a lot of threads but I only post when I’m really interested. If not, I’d just move on to the next thread. I wish I can delete my username because it’s actually quite notorious at one point. There were posts which I wished I never would have posted at all. Sadly, there’s no option to delete posts once they are published. Not even moderators can do that. They can only edit forum posts, combine related threads, close the ones which are not following forum guidelines, and ban or suspend users. At least my username’s notoriety is not a basis for being banned. There were actually other members who are more infamous than mine and yet they are proud of it. The same infamy actually makes them popular in the site, especially in a specific category. I decided to stop posting in that section as I don’t want to bring attention to myself anymore through an unsavory reputation. Going back to the screen shot above, you will also notice the membership date aside from the post count. There enters Yugatech into the picture. PinoyExchange or PEx as I cal it was fairly new when I registered. The site was launched 1999 and I became a member in 2001. Yugatech’s founder Abe Olandres was already a PEx user before I started participating in the forums. In fact, there were old posts from his username which you can guest was Yugatech (not exactly as it is but has some numbers after the name) that were dated as old as 1999 and 2000. I was able to search and read the posts again through PEx before the search functionality was disabled recently. Did it happen to me alone or is everyone unable to search anymore? Since Yugatech was already sharing his thoughts about blogging and technology more than a decade ago, I’m thinking that his tech site may have been conceptualized while he was participating in the PEx forums. Today, both sites are already household names in the Philippine web world. As of this writing, PinoyExchange now has 508,518 members, 63,815,550 posts, and 513,900 threads. As for Yugatech, the site can be considered the number one blog in the country. Its founder is also associated with other sites including PinoyBlog.com and PinoyTechBlog.com. 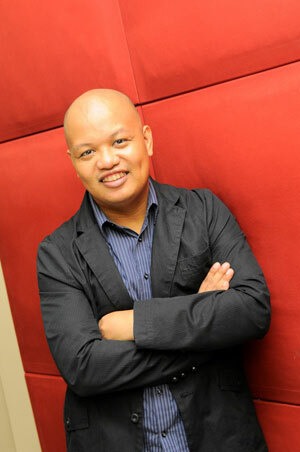 He is also the country manager for Nuffnang Philippines, an advertising portal (see Nuffnang ads in this blog). The reason why I had to write about these two is not only due to the screen shot above. Both of them can serve as an inspiration for everyone who is trying to establish an income online. In a sense, both sites are lucky because they were born when there were not much competition locally yet. So by the time everyone started to hop into the same bandwagon, they have already achieved and accomplished traffic and readership goals most of us only dream about. If I started blogging as early as a decade ago, maybe I have already accomplished something by now. Anyway, with a lucky 888, I hope to be as lucky as they are even if I’m not superstitious. But it’s not all about luck. I mentioned inspiration earlier because these sites can inspire aspiring web bloggers and site developers to continue and be patient. It’s not luck but their dedication and passion for their craft online which spelled the difference. With that, anyone will be able to reap the fruits of persistent and consistent Internet blogging or site developing just like these sites in due time.